Last year we built a 20' long redwood conference table for a company out in the Denver Tech Center. 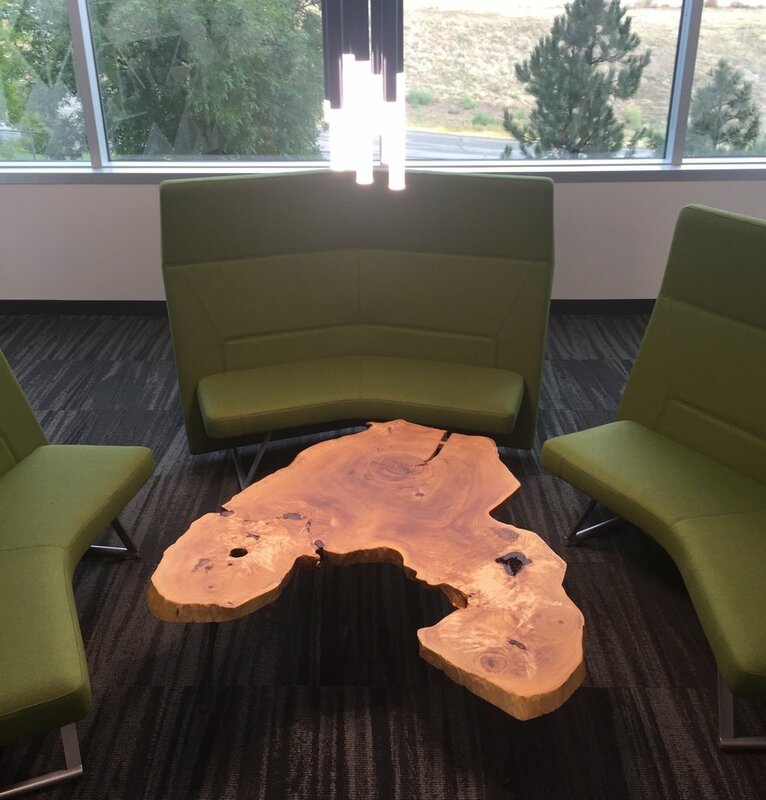 The photo of that table made it to the blog a while back, but I neglected to include the cottonwood cookies in each waiting area. We made these coffee tables using cottonwood rings of various sizes for each of their six waiting areas. My supplier had cut these cookies more than 25 years ago. I believe they were properly dried.